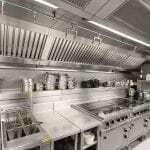 Corhaven’s kitchen ventilation canopies are manufactured from type 304 Austenitic stainless steel. All visible surfaces are brushed grain satin polished and welding is of high penetration, reground and polished to match the original finish. 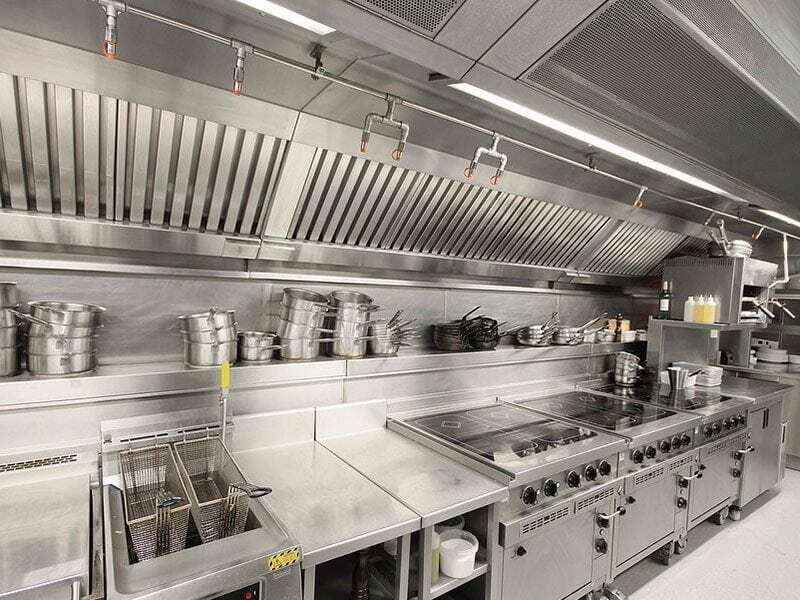 Corhaven Kitchen Ventilation Systems are constructed to comply with industry standard DW/172. 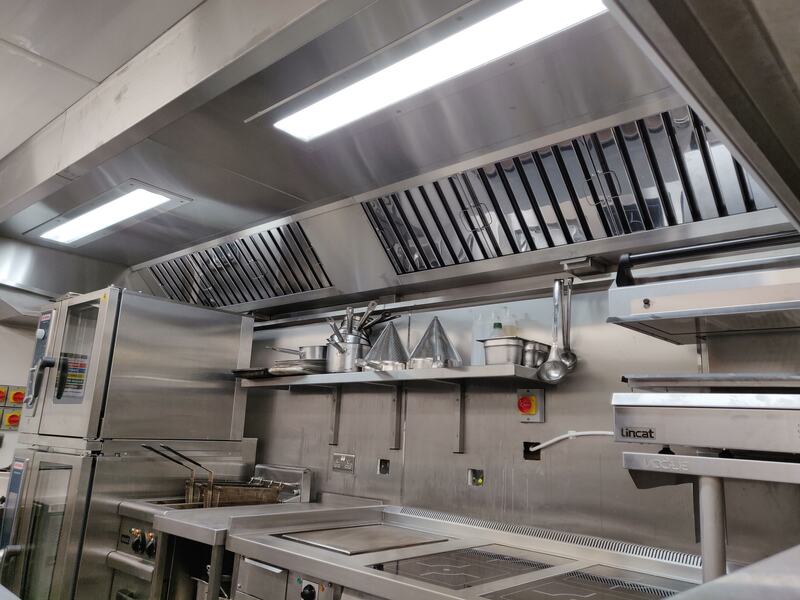 Corhaven manufactures its kitchen ventilation systems to comply with the latest industry standards. As well as extraction our systems can also include a make-up air system to provide a more comfortable working environment in the kitchen. This is a must when cooking with gas appliances to comply with regulations. 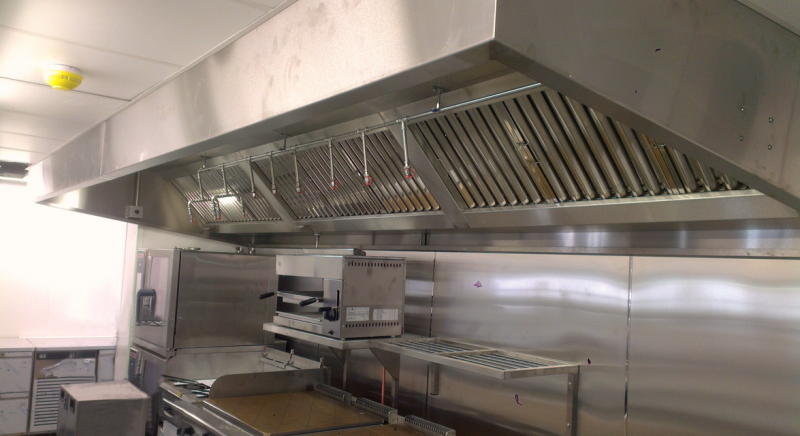 Corhaven fabricates its canopies from high quality 304-grade brushed finished stainless steel. Because of its all-formed, folded and welded construction our canopies are durable, aesthetically pleasing and easy to clean. All hoods are installed between 2000mm & 2100mm from the floor to the lower leading front edge. Depending on ceiling height the hoods are flat bottomed but may slope down towards the rear. 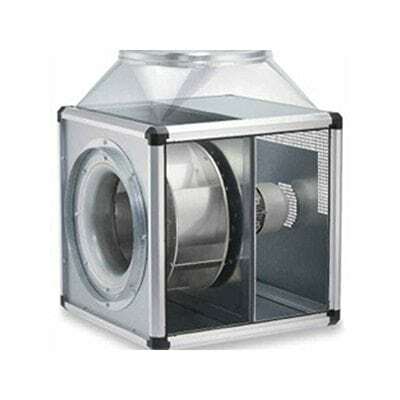 All hoods are fitted with high quality stainless steel baffle filters and grease collection drawers. 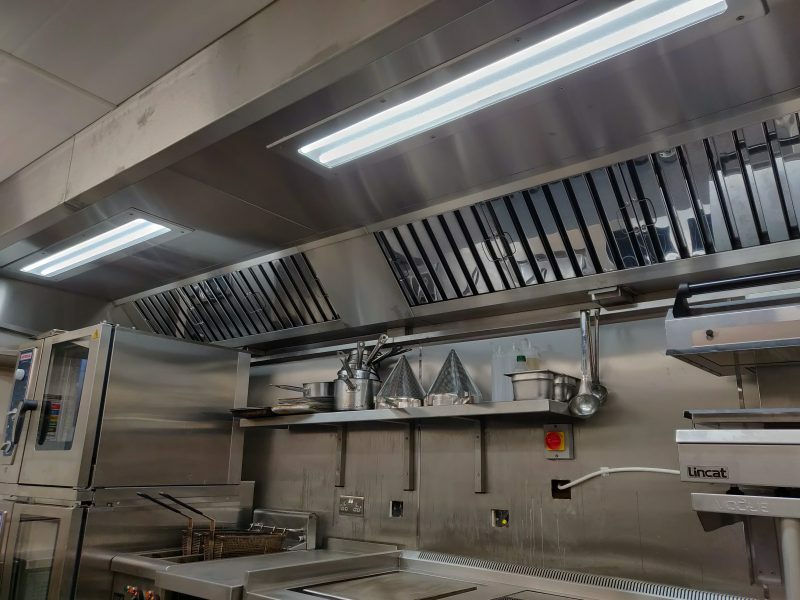 Lighting is provided by LED flush fitting vapour proof units. At the end of equipment range 300mm, except in corners. 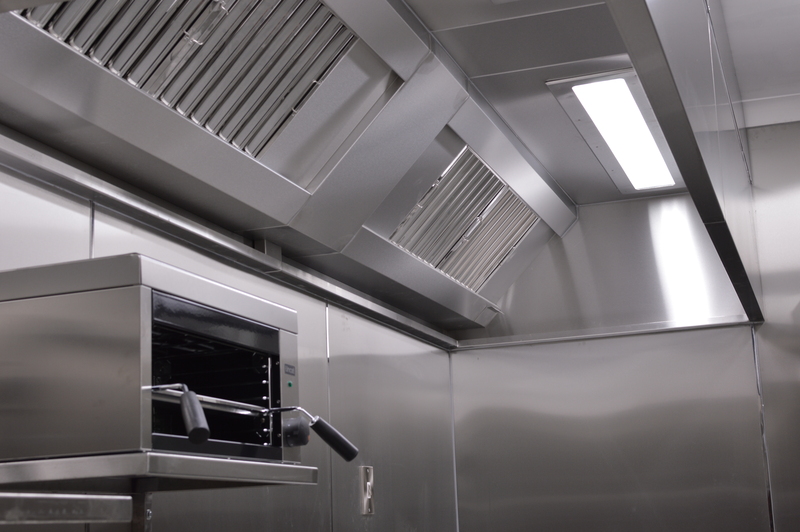 At the front face of equipment 300mm minimum and up to 600mm over Combination ovens. On make-up air hoods the air is introduced into the kitchen by means of an integrated insulated plenum mounted inside the front face of the hood, which is fitted with either adjustable grilles or a perforated stainless steel panel. 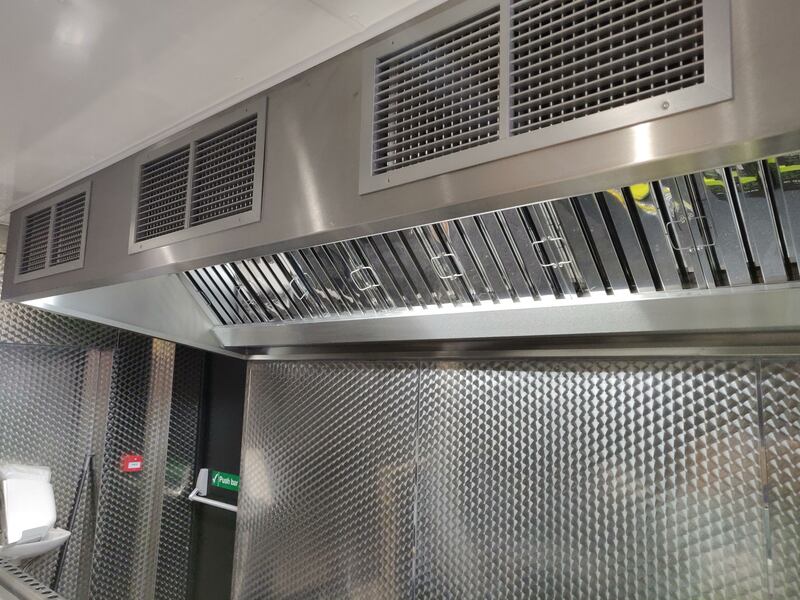 If requested fire suppression systems can be fitted to our hoods. 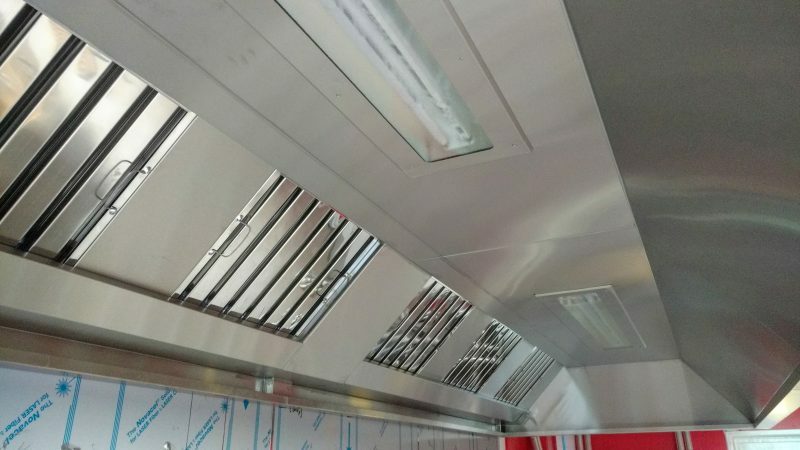 The ductwork connects to the hood to convey the extracted air to atmosphere. Depending on building constraints either spiral or rectangular duct is used and is fabricated and installed to comply with DW/144. 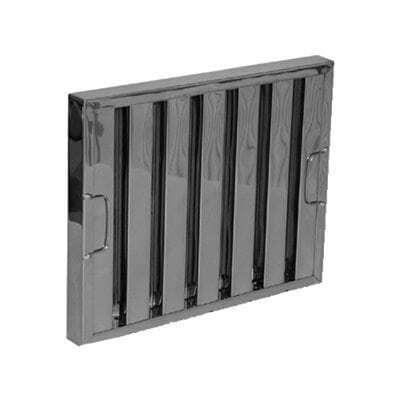 Where extract duct passes through a fire barrier fire rated duct is used. Inspection doors are fitted to the duct to aid in cleaning and maintenance of the system. We use a number of brands for our installations including Systemair, Helios, Elta and Soler & Palau. All fans are installed using anti-vibration mounts and flexible duct connections. Speed controllers are supplied with all our installations. We install all our own systems and carry out on-site surveys to ensure everything goes as planned during the installation process. If you need further information regarding our systems or would like a quotation please contact us. I consent to Corhaven collecting my details through this form.